A street in Mualadzi, a resettlement area in Tete, Mozambique. Photo by Nikkie Wiegink, November 2016. As the Oxfam-study detailed, and as I observed during my (later) stay in the resettlement area, the situation in Mualadzi is dire. Many reassentados lost essential livelihood means by leaving their area of origin. In 2013 and 2014, they moved from their homes on a fertile riverbank to an arid-dry land with insecure water supply for personal and agricultural use. Moreover, the area is remotely located and the poor transport infrastructure has reduced access to employment and other economic activities. During my stay, people struggled to provide food for their families, and several of the reassentados left Mualadzi after selling their roofs and whatever else they could take off the house. Carlos continued animatedly to reflect on the Oxfam-study: “They diagnose the patient with malaria, but then they do not provide the medicine.” This is a familiar metaphor used more generally in Mozambique by people to express resentment of being objects of study while they are not seeing much change in their daily lives. However, in the case of Mualadzi there is an added element of irony. 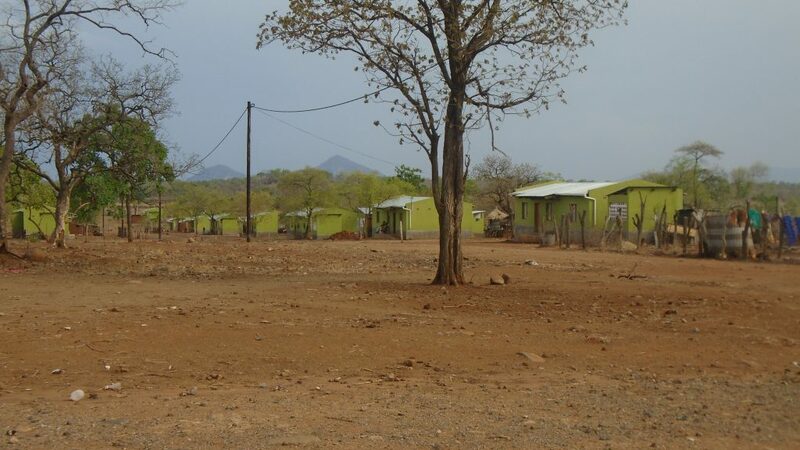 Increasingly, the resettlement processes in Tete (including Mualadzi as well as Cateme, the resettlement area of the Vale coal mine) are considered “worst case scenarios” or “lessons learned” cases for other upcoming resettlement programs. There various resettlement processes in Mozambique, but particular attention is given to the resettlement program in Palma district, Cabo Delgado province, where oil-giants Anadarko, ENI and ExxonMobil are planning to build an onshore Liquefied Natural Gas plant, which demands the dislocation of over 4.000 individuals. The resettlement program is estimated to cost 73 million USD and hopes are high that this will bring much-wanted development to the poor rural fishing villages along the coast of Palma. 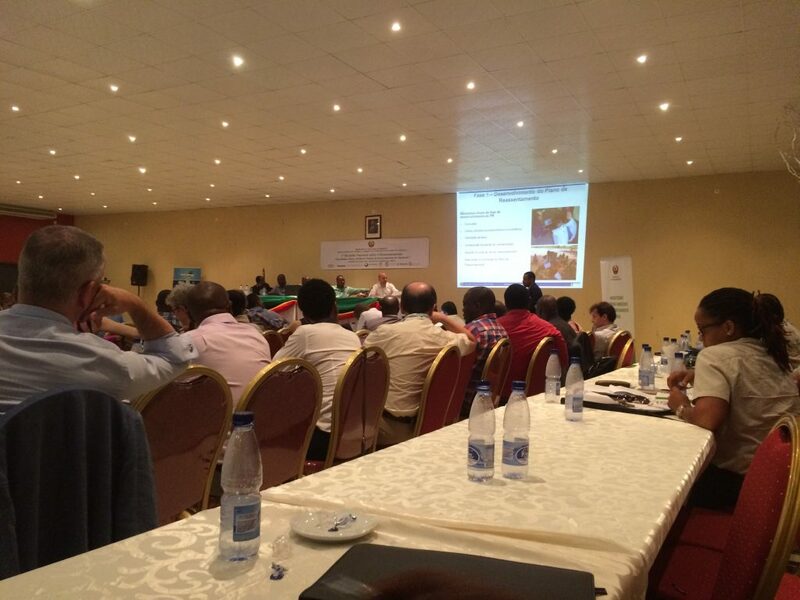 A presentation during the First National Meeting on Resettlements in Tete, Mozambique. Photo taken by Nikkie Wiegink, November 2016. Obviously “lessons learned exercises” should be done and the inquiry into how Mualadzi and Cateme “could have happened” is valid and valuable. Yet, in the current situation, these studies and lessons learned are of little use for Carlos and his fellow reassentados, who seem increasingly irritated by being the subject of another case study. I felt relieved, but just a little bit, as this conversation also triggered uncomfortable questions about my own role and contribution to mining and its consequences in Tete. Will I also be diagnosing the “patient” (in a more ethnographically fashion perhaps) and then leave the reassentados without providing a remedy? And more general, to what extent could and should I take up a more activist role than I had initially envisioned? And if neutrality is an illusion (Ballard and Banks 2003:306), how do I maneuver myself through a research that is multi-sited (resettlement areas, government conferences, companies offices, etc.) and involves multiple actors (reassentados, company personnel, NGO staff, government representatives, etc.)? Indeed, as Welker (2016) recently restated (quoting Ballard and Banks 2003), “mining is no ethnographic playground” as it is often the stage of conflict, high stakes, and loss of livelihood and lives. Doing research in the world of mining thus warrants special attention to the researcher’s political and ethical position. There are no fully satisfactory answers to the questions I posed above, but similar to Welker (2016), I find that deliberating these questions is a necessary, often uncomfortable and continuous part of the research process.